So as long as I specify both input parameters, the query is OK.
You can define the default value for parameters to avoid this error message. The default value generally is NULL. But you also can define other value as you want. 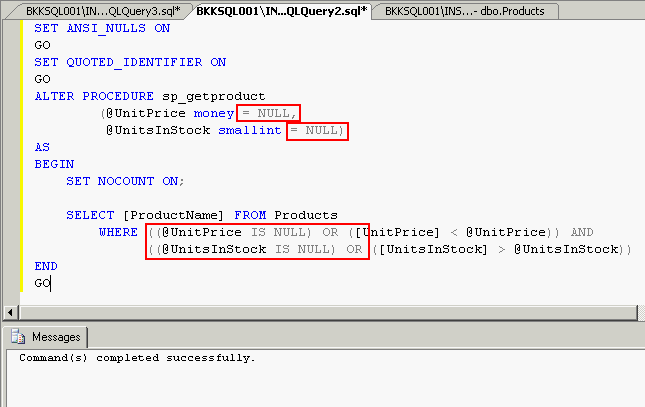 In this example, I’ve altered the store procedure by assign default value for these parameters to be NULL and also in WHERE clause. 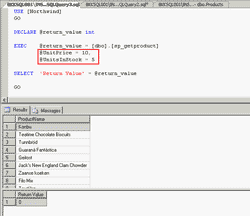 I’ve altered the parameters declaration to assign the NULL value as the default value. 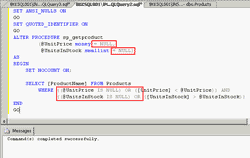 Next, I’ve altered in WHERE clause to be TRUE if the parameters are NULL. 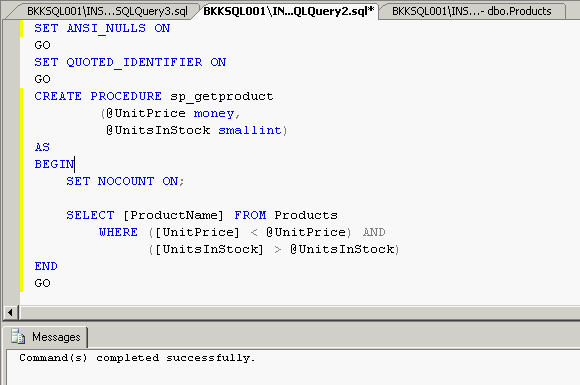 So if the both parameters are NULL, the SELECT statement will return all ProductName from Products table. 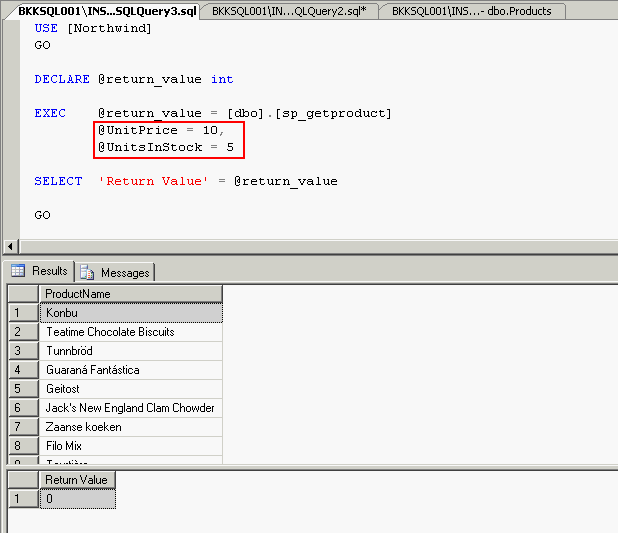 Re-execute the query again, you’ll see the error message is gone. 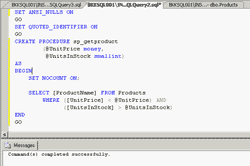 The example above is to execute the store procedure without specify parameters by set default values (NULL) to the parameters. 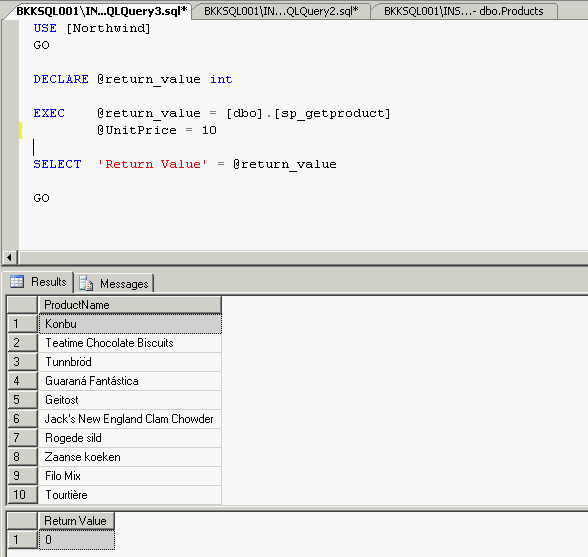 param 2 is interpreted as empty string and not the default value that I specified. Sorry for the long email. Hope I explained myself clearly. 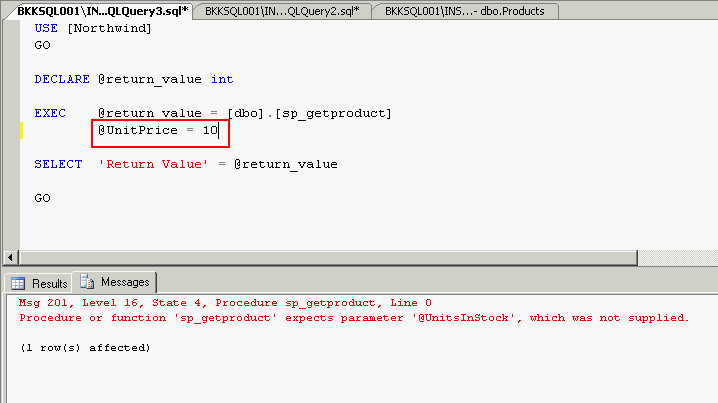 Specify parameter name can solve your problem. 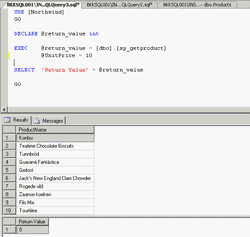 But if i only want to insert nvarchar(50) data i.e in @b(col2),then what should i do? Can any one help me plz !! !